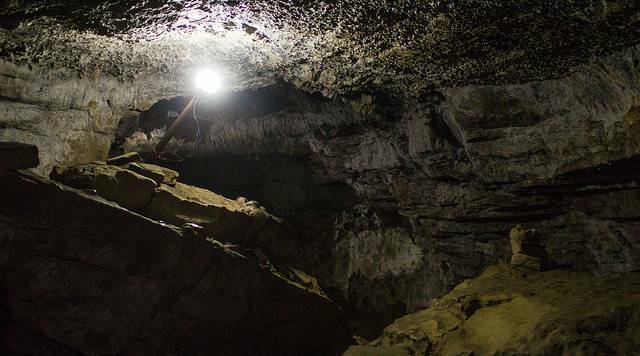 A famous tourist attraction, Mahendra cave is located in Batulechaur near Pokhara, Kaski district. It is a rare ecological wonder with limestone’s called stalactites and stalagmites found in the area, the former kind grows in the ceilings and the later grown on the floor. There are areas in the cave where both the forms have grown long enough to connect and have formed interesting and unfamiliar patterns and shapes. The locals believe these shapes represent different Hindu gods. Mahendra cave is named after the late king Mahendra Bir Bikram Shah Dev. It has a familiar story of being accidentally discovered by two shepherds and has since gained a lot of popularity. Its lit using bulbs to a point but keeping safety in mind, torches and emergency lights are always provided. There is a narrow exit at the end of the cave which could be difficult to locate, so for easier navigation guides are available at a reasonable price to show you around the place safely. The famous bat cave is just a 10 minutes’ walk from the Bat cave. The outsides of the cave are green and it’s located on the foothill which makes the view worth experiencing.